Among Beyonce’s many talents is her keen ability to populate the lexicon with her song lyrics. From “Bootylicious” in her Destiny’s Child days to the ubiquitous “put a ring on it” from “Single Ladies” and “Surfbort” from “Drunk in Love,” Beyonce’s prose is eyebrow raising, absurdly fun and often WTF-inducing. With the advent of “Lemonade,” a 12-track album dropped on Saturday with an accompanying short film airing on HBO, the following gems could easily become her latest, greatest phrases for fans and Internet users the world over. Be forewarned, some strong language ahead. “Becky” is likely a call-back to Sir Mix-a-Lot’s “Baby Got Back,” where Becky came to be immortalized as a white girl of the basic variety. If there’s a specific Becky the singer has in mind, we suggest that she invests in a baseball cap and aviators. Beyonce fans are looking for you. Much of the HBO special uses poetry to help transition from song to song, visual concept to visual concept. Therein lies some of the best catchphrases, like when she’s mourning her own commitment to a failing relationship. “Ashes to ashes, dust to side chicks,” she sings, referring to, well, chicks on the side. This is solid shade, but nothing quite compares to …. We need to talk about this one. 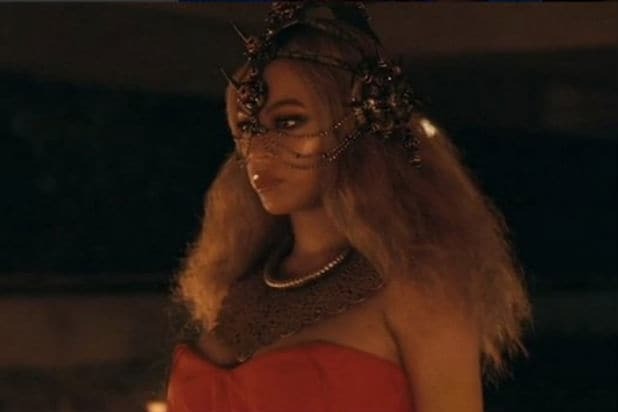 In a stunning sequence where Beyonce discusses the great lengths she has traveled to learn to trust her partner, she still burns deep with suspicion. “I plugged my menses with pages of the holy book and still coiled deep inside me was the need to know — are you cheating on me?” she asks. Desperate times, desperate measures Queen! Not all of her songwriting has to be novel to raise eyebrows — some of the most jaw-dropping lines involve serious admissions and hard truths. “Love is elusive, no one I know has it,” Bey sings against a chrome Range Rover, dressed hard in her Ivy Park outerwear and fur, cornrows blazing and teeth gritted. Beyonce has sung plenty about love gone wrong, but this sort of admission is way more existential. It’s a compelling evolution of her storytelling. It also ties another revelation for the fifth slot — her candidness about her dark and complicated relationship with Matthew Knowles, her father and former manager. What’s your favorite WTF lyric from “Lemonade”? Shout it out in comments.